Our chapter is just starting and we are trying to charter as soon as possible but without missing any steps. Our biggest problem is money and I have read tons on your AMAZING website and book about how to make money but I can’t convince any of my brothers to try them. They keep saying that no other fraternities do it and I don’t know how to convince them to give it a try. Every time I bring it up it gets shut down almost immediately, I can’t even get them to read the articles. I refuse to quit this chapter but we are going to fail if I or someone can’t get through to them? What would you do? 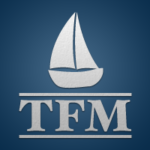 First off – I sincerely appreciate the kind words about thefraternityadvisor.com and The Fraternity Leader – Make Your Chapter the Best on Campus. It is very rewarding for me to know that what I write is helping guys out there. 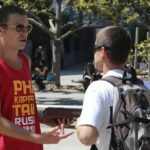 In your question – you state you have an issue getting your fraternity brothers to fundraise. That isn’t your problem though. Your problem is you don’t know how to properly motivate your brothers. In most of my experiences, chapters fundraise and the money earned goes into the general fund. 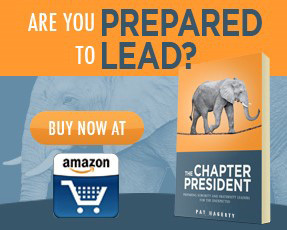 Brothers are expected to work because it is for the betterment of the fraternity. It doesn’t work because the brothers cannot see the immediate benefit of their effort. If they can’t see the immediate benefit, then they can’t see the reason why they are working. And if they can’t see that reason you have turned something fun (fraternity) into something not fun (work). So the first step in motivating the brothers to fundraise is to have a good reason to fundraise. And to motivate the brotherhood – it will have to be a reason that matters to them. If the reason doesn’t resonate with them, then you might as well have no reason. For example, the most successful fundraiser I ever led was to pay for a chartered bus for a road trip we had planned. This road trip was something that the entire chapter really wanted to have, and it promised to be a great time. As a result, getting guys to volunteer to fundraise to fund this trip wasn’t that hard. The next step is figuring out what fundraisers fraternities are actually good at. You have a lot of manpower with short attention spans. You also have an incredible social network and a lot of creative energy. As such, I recommend having short fundraisers where you expend a lot of energy in a short period of time. Most manual labor tasks (moving, landscaping, cleaning, ect) fit this bill. This is probably the easiest way to make a quick buck. However, you don’t need to get stuck in the mindset that fundraising has to equal work. Fraternities are very good at being social. So use that to your advantage. Why not have a party that doubles as a fundraiser? Charge a few bucks a person at the door which will go to whatever cause you designate. How about having a theme party where you sell something? A great example is having a Mardis Gras party where the chapter sells beads. This is an easy way to make quick cash. There are a lot of restaurants that will host your fundraiser and give you a certain percentage of the day’s sales (Moe’s is one that I know used to do it). Your job is to get as many people to eat there as possible on that night. All you need to do is have a chapter dinner and invite everyone you know. This takes no work and is free money. How about having a golf tournament or poker tournament? A little planning goes into each, but it promises to be a good time. Finally, good luck on getting your charter. I promise you that the growing pains you are going through now will be worth it in the long run.